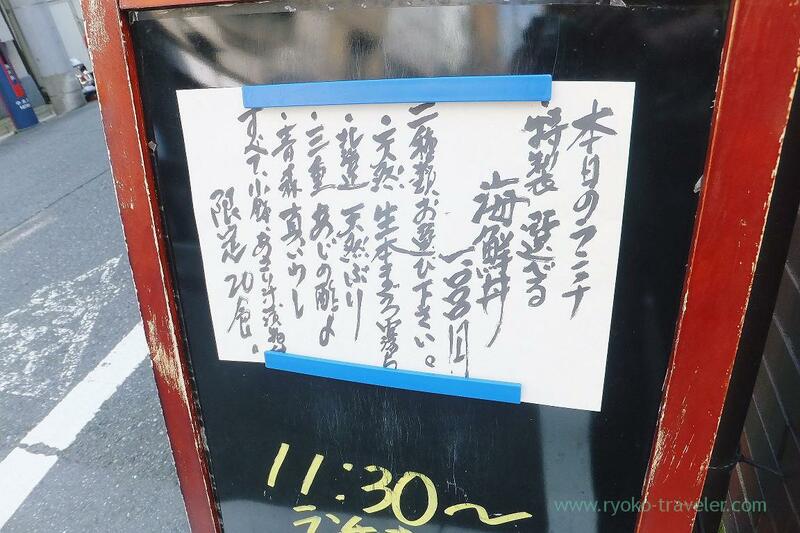 I wanted to eat seasonal saury and expected that they serve at lunchtime. saury” in front of entrance with patient. I was sure that Hajime Sengyo-ten would prepare saury ! What I should eat is, all the same, silver-skinned fish instead of silver‐skinned fish. 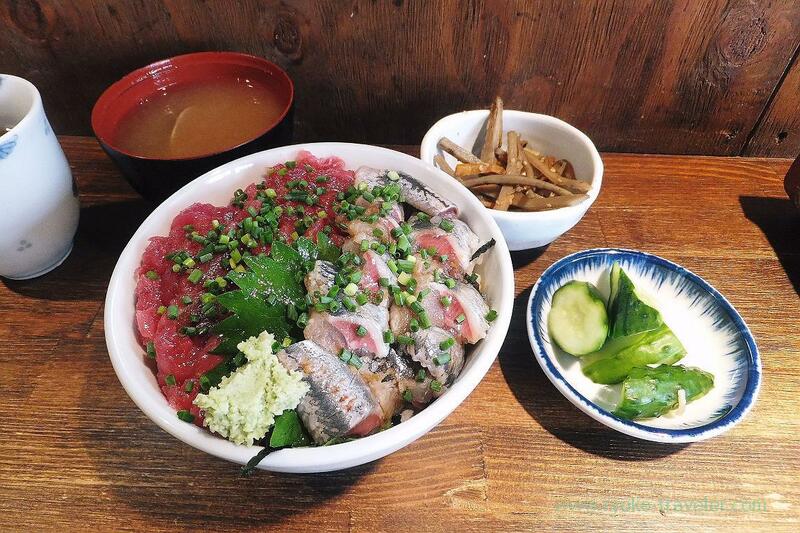 I chose tuna nakaochi (nakaochi = left-over flesh on the spine) and sardine ! 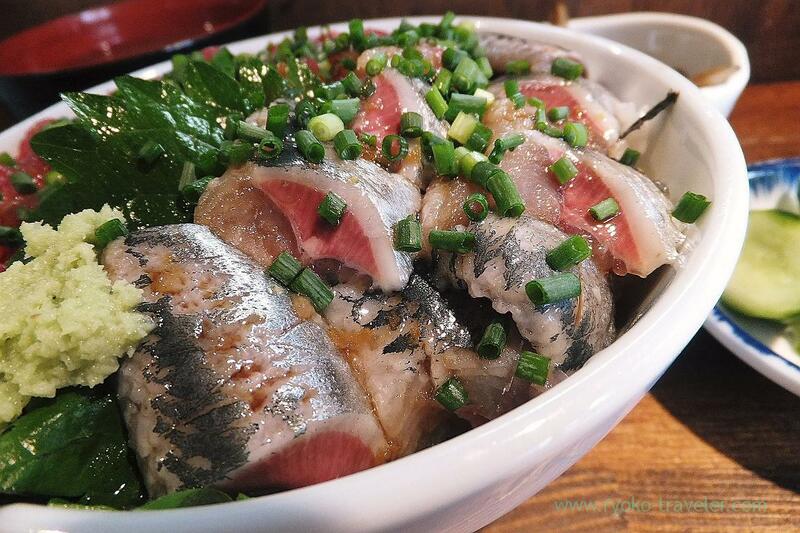 The best season of sardine is around June that is rainy month in this area. So, the best season was already past. But recently most fishes are caught all year around regardless of season and area. Those sardines were not so fatty, but it was fresh and tasty. To tell the truth I was really impressed by the taste of sardines that I ate at Hajime Sengyo-ten before. That sardines were incredibly fatty and the texture was so smooth. So, I couldn’t be satisfied with their sardines this time. What made me surprised this time was… this tuna. Look at this pink-colored fresh meat ! To tell the truth, I love nakaochi around bones better than well-ordered part of tuna because I like this sticky but smooth texture dressed with its fat. 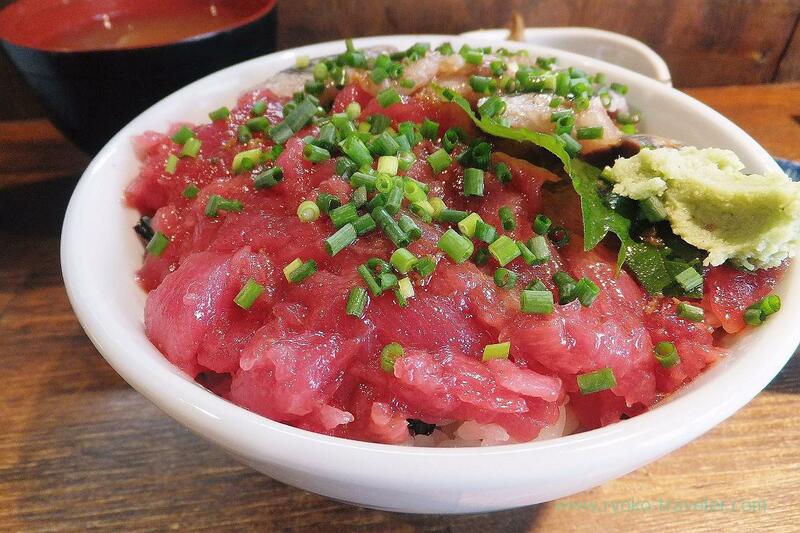 It have both good point of lean meat and fatty meat (toro). Now I said that most fishes are caught all year around. But saury can’t be caught all year around. Frozen saury can be bought at supermarkets all year around, but those need to be heated. Saury sashimi can be eaten this season only. So, I have to visit there again in a few days… I need they update their information on their website quickly for that….